Registration for the 2017 Dallas Race opened last week and we want to thank everyone who has already registered. You are all More Than Pink®. For those of you who have not registered yet, we encourage you do so now to take advantage of the special anniversary pricing of only $35! This price is only available thru September 1st. Check out the link below to register, and learn all about the new and exciting things happening at Race this year! will always love you! 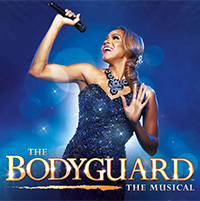 We thank Dallas Summer Musicals for donating $10 back to our mission from ticket sales to the July 18-21 and July 25-28 shows of The Bodyguard. Dallas Summer Musicals will also host a special “cast chatback” for those who attend the July 21 performance. Be Bold. Be Fearless. For Just One Day. A breast cancer diagnosis—whether it’s your own or someone you love—can leave you feeling helpless. Imagine if there were a way to fight back, and to do something that can make a difference. There is. 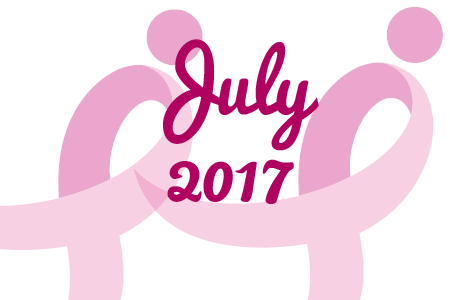 It’s called the Susan G. Komen 3-Day®, where hundreds of women and men come together in a bold display of courage and commitment. Because every action―big or small―makes a difference in our fight, even if you can’t walk all 60 miles, you can still have an impact. 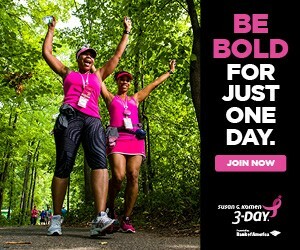 Walk for one day, 20 miles and join the people who are ending breast cancer. Research is just one way Susan G. Komen® and other organizations are working to improve outcomes for those living with metastatic breast cancer (MBC), but it’s perhaps the area with the biggest potential impact. 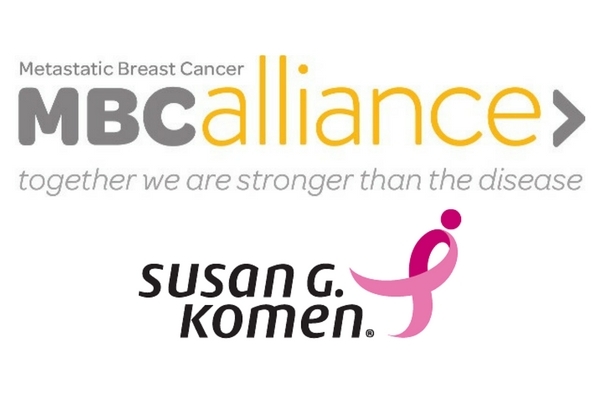 A little over a year ago, the MBCA (the Metastatic Breast Cancer Alliance, of which Komen is a founding member) convened a think tank of stakeholders from academia, government, industry and patient advocacy organizations to identify the obstacles, opportunities and priorities for advancing MBC research. Outcomes from that meeting were recently published in the journal Cancer Research, and can be read in full below. 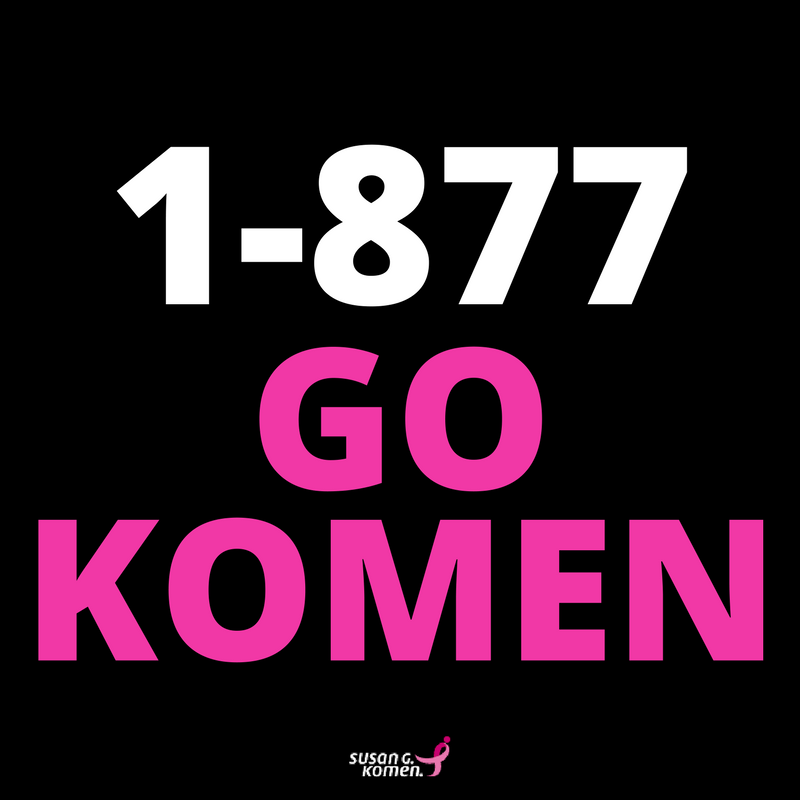 Susan G. Komen® has recently announced a new service for breast cancer patients and their loved ones with the launch of its new Breast Cancer Clinical Trial Information Helpline. The toll-free helpline (1-877-465-6636) aims to increase understanding of breast cancer clinical trials, give people the information and resources they need to make an educated decision about clinical trial enrollment and make it easier for breast cancer patients to participate in and potentially benefit from promising research.